Will Make Beats For Food : Live From the Writer's Bench: Hip Hop Remakes Are Wack...or Are They? Live From the Writer's Bench: Hip Hop Remakes Are Wack...or Are They? 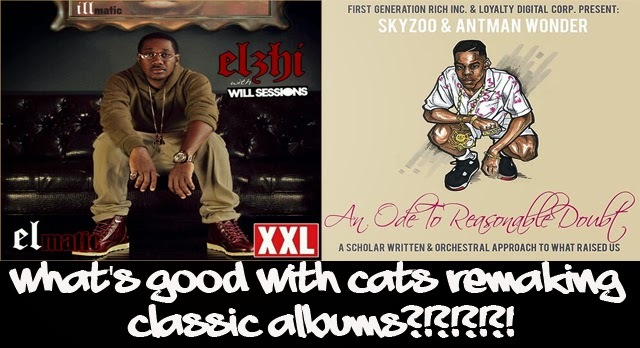 This week, the Writer's Bench squad sits down to chop it up about cats like Elzhi and Skyzoo remaking classic hip hop albums and do albums like those fall under hip hop's guidelines of biting...like there are REALLY any hip hop guidelines on biting left.